Wonderfully located holiday home in a beautiful green valley in Charencey, on 35 minutes from Dijon. This beautifully renovated house includes a cosy garden with picnic table and a sun terrace with barbecue. An excellent base for your holiday! In the immediate vicinity you can enjoy the crystal clear river Drenne. 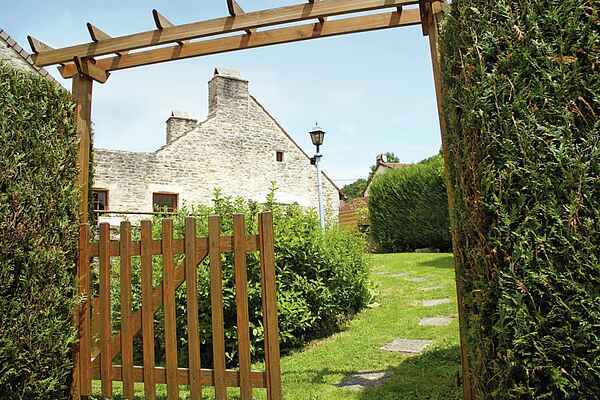 There is a swimming pool, tennis court, grocery and bakery in Verrey-sous-Salmaise (2km). A supermarket and restaurant can be found in Sombernon (14km). Love the French countryside? Then this environment can offer you endless opportunities. You can take beautiful walks straight from the house. Another option is to drive around in your car. A good starting point for a walk, for example, is where the Seine originates, just 13km from the house. A popular hiking trail starts here. Water lovers can indulge themselves in the swimming lake at Grosbois-en-Montagne (21km). The area boasts many castles such as Châteauneuf (27km) and Bussy-Rabutin (23km). The world famous Abbaye de Fontenay (33km) is an absolute must. Especially noteworthy is the former Gallic town of Alesia with its excavations at Alise-Sainte-Reine (22km). There was a battle here between Julius Caesar and Vercingétorix in 50 BC.